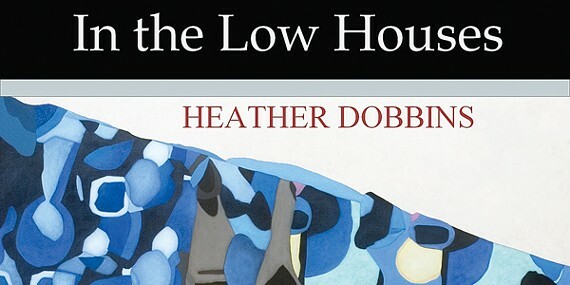 Poet Heather Dobbins: a debut in low places. April may be National Poetry Month, but tell that to the crowd a couple of weeks ago at Burke's Book Store. On the evening of March 6th, it was standing-room-only at Burke's for Memphian Heather Dobbins, who was reading from and signing her debut collection of poems, In the Low Houses (Kelsay Books). And if by "debut" you're thinking the work of an untested writer fresh out of an MFA program, you'd be wrong about "untested," but right about Dobbins' recently earned MFA. Heather Dobbins was already a poet in the making when she first understood, at age 7, the meaning of metaphor. By high school at Craigmont, she was seriously studying the work of two poets in particular, Walt Whitman and Anne Sexton, thanks to her brother, the painter Hamlett Dobbins. And by the time she entered the University of Tennessee in Knoxville, Dobbins was bypassing freshmen courses in poetry in favor of upper-level classes taught by mentors such as the poet Marilyn Kallet. But Dobbins' MFA in 2011, from Bennington College in Vermont, came later in life, when the writer was well into her 30s, because Dobbins, fresh out of college, had another idea: She would gain greater knowledge of the wider, working world. After earning a master's in education and together with an abiding interest in community activism, Dobbins taught at-risk students in the demographically diverse classrooms of Oakland, California. When Dobbins returned to her hometown, she worked for Memphis City Schools. And today, Dobbins (who is married to Memphis musician Clay Combs) teaches all manner of writing — including creative writing — to high-schoolers at the Bowie Center in East Memphis. Summer breaks don't mean a break from teaching, however. Dobbins heads Midtown's River City Scribes, which meets at St. John's United Methodist Church, a workshop for local teenagers wanting more from creative writing than they get — or perhaps never get — during the standard school year. 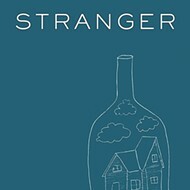 All of this to say: "Newcomer" hardly describes the writer responsible for the 45 poems that make up In the Low Houses. Nor are they the "McPoems" that writer Martín Espada has complained of: MFA-sanctioned, workshop-approved, and without a note of the world's wider, working realities. Those realities in Dobbins' work start soon enough in "Foolheart in West Tennessee," which opens the collection with the sound of a death-knell. In a mere 14 lines, we read of headstones that go "unanswered," of water that doesn't "respond" to skipping stones, of a songbird that never "calls back," and of a penciled love letter that will be "unreadable" in only a few years. "In the Low Houses," the closing poem that gives title to the entire collection, Dobbins' grave concerns continue in a kind of summary statement of themes and imagery, not the least of Dobbins' elegiac imagery those "low houses" of the dead (coffins) and the boxed existence of a couple (paired but often unaligned, inside the limits of a marriage bed or the larger confines of the domestic sphere). We read here too of aged and afflicted family members and of fading family albums; of gardens past their seasonal prime; of emotional "traction." There's also in these poems, though, the sheer beauty and materiality of the natural world, light seen and unseen across the spectrum, and equally down to earth: sixth-graders discussing poetry (Have you always lived on this planet?, one student asks of the poet-teacher); a salute to the pitch perfect Clara Rockmore, mistress of the theremin; and the energizing din inside a rock club. What there is, regardless of the scene and throughout In the Low Houses: powerful single-syllable imagery to go with the networks of complex feeling — simple vocabulary, perhaps, but put to lyrical use: silver and bone, dust and mire, cloud and clay, sheets and steel. How did Dobbins come by such an eye and ear? It doesn't owe only to the poets, past and present, who have inspired her: Sappho for her love of sound and image; Rainer Maria Rilke and Adrienne Rich for their wisdom; Lucille Clifton for her hard-headedness; and Sharon Olds for her sometimes messy writings about love and loss. In a recent phone interview, that's how Dobbins characterized those poets, but she also remembered the example set by her father, Hamlett R. Dobbins Jr., and mother, Gail. She also called their household in Frayser "an anomaly." "Even as a child, my brain was working metaphorically," Dobbins said. "But I also played classical flute, the most elegiac of instruments. So I had, growing up, this other love: music — a thing that shaped me. I had image, and I had sound. "My brother and I were the first on both sides of the family not to be raised on a farm, which already marked us as different in the eyes of our cousins. And what my parents didn't have in terms of economic capital, they made up for in cultural capital. "My mother and father had a variety of tastes in music and in art. One of my prize possessions is my dad's collected works of Shakespeare, and it's brilliantly annotated. I was taught to value such things — exposure to them the most important thing." Exposure too to the activism of Dobbins' father, who was an early proponent Shelby County environmentalism. His added gift for storytelling earned him a radio show on WEVL. "I think every day of my life I heard my mother tell Hamlett and me that we were a 'possibility.' I'm immensely grateful for that." Sven Birkerts, director of the Bennington College Writing Seminars, alerted Dobbins to something else: the task of today's poet. "Birkerts talked of the poet as user of the most concentrated language," Dobbins said. "That makes us — we have to live as — explorers. And he talked of the poet as a kind of dodo bird — persistent in this making of poetry in this day and age, which is nothing short of a miracle. "I think too about how the poet is charged with being a keen observer. That's our role. And that's why I'm doing this — persisting in the making." Making, then, and not so much providing answers as asking questions. That goes for Dobbins' poetry. It goes for her day job as well. "I don't have to teach answers," Dobbins said of her classroom work. "I teach my students how to question, how to accept uncertainty. That keeps me learning too as a writer — a writer first, I've come to realize, who teaches and not a teacher who writes." 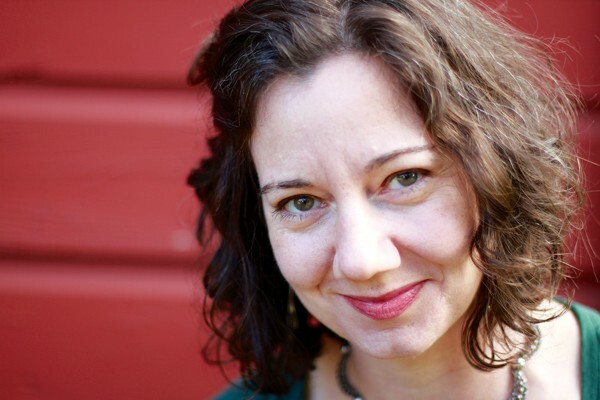 For more on Heather Dobbins and upcoming readings during National Poetry Month in April, check the author's website at heatherdobbins.com. For information on the River City Scribes, visit rivercityscribes.com.